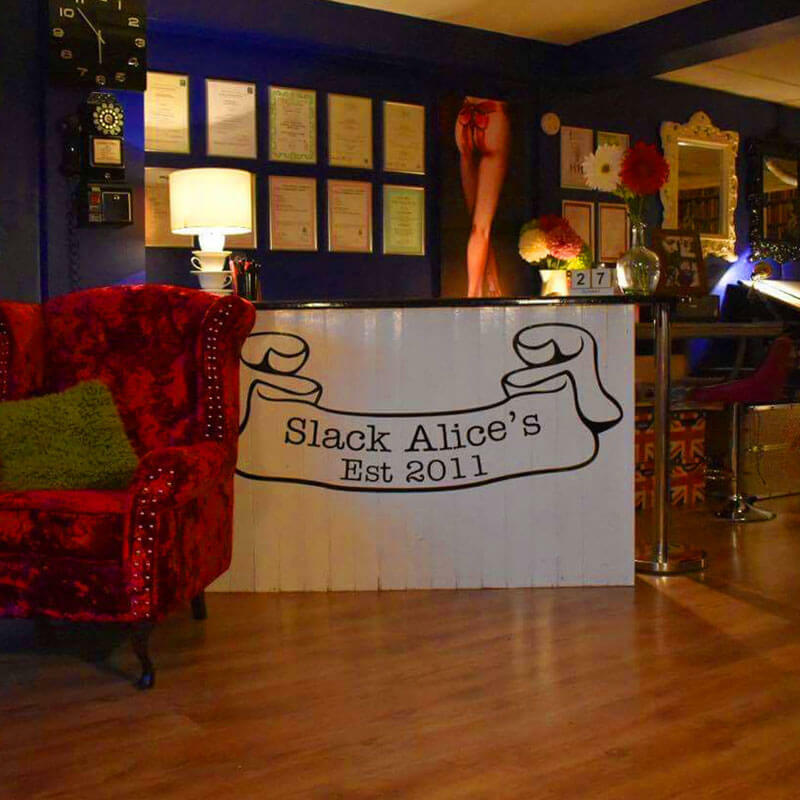 Established in 2011, Slack Alice's nestles perfectly in the heart of friendly, bohemian Baldock. Licenced, health registered and fully insured, Slack Alice's has a magnificent blend of space, character and oodles of style, thus creating a new and unique approach to the world of Tattooing, Piercing and Laser treatments. Our welcoming experienced crew, decor and facilities will always ensure an individual, warm, friendly and relaxed atmosphere; ultimately creating an experience like no other. With our thumb placed firmly on the pulse of developing trends and techniques, we can confidently and proudly state that Slack Alice's Tattoo Shack is the 21st Century face of Tattooing, Piercing and Laser treatments.